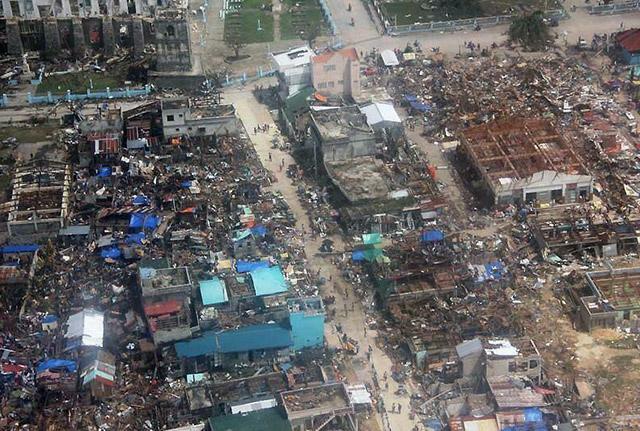 Almost all structures in Guiuan, Eastern Samar, Philippines, were damaged or flattened by super typhoon Yolanda on Nov. 8, 2013. The photo was taken from a helicopter on Nov. 10. 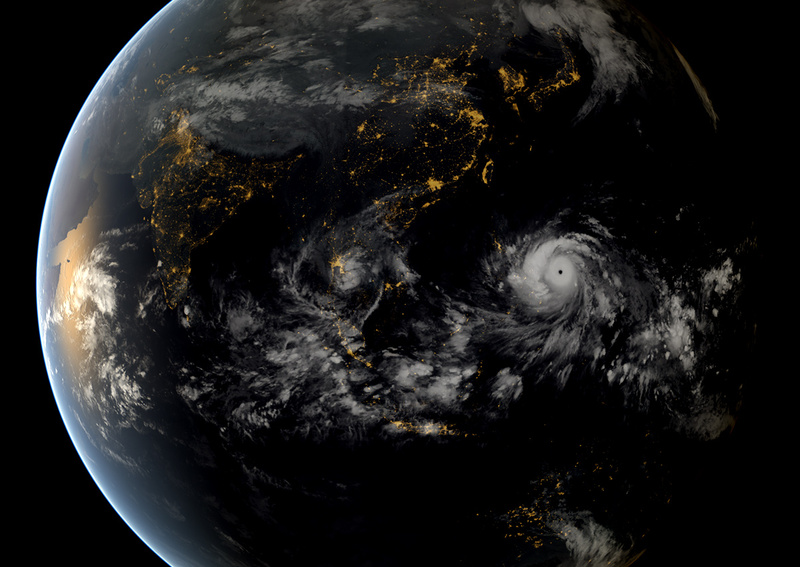 Typhoons and hurricanes are shifting further from the equator, according to a study released today. Tropical cyclones — the giant rotating storms commonly called hurricanes or typhoons — are moving further from the equator, and that is shifting the resulting danger zone. Trends in tropical cyclones are difficult to study: A century ago, many made their presence known only if they crossed a populated coast. Things started to get much better with the advent of meteorological satellites in the 1960s. But when James Kossin, a research meteorologist at the National Climatic Data Center, sifted through 30 years of satellite data, he and his colleagues calculated that the average tropical cyclone path was retreating from the equator at about 39 miles per decade, on average. That translocation is likely to make a difference on the ground, Kossin says, shifting the danger north or south, while alleviating danger closer to the equator. Beyond the direct damage, Kossin says, “A lot of people rely on tropical cyclones for their fresh water supply.” In the American Southwest, for example, rainfall from spent Pacific hurricanes brings a major addition to the water supply. “You could imagine that a migration could lead to water deficits,” he says. Typhoon Haiyan approaching the Philippines at 13:00 UTC on Nov. 7, 2013. This is a composite image incorporating data from the geostationary satellites of the Japan Meteorological Agency (MTSat 2) and EUMETSAT (Meteosat-7), overlaying NASA’s ‘Black Marble’ imagery. As global warming adds energy to the earth system, scientists have tried to assess how that might change tropical cyclones. Their conclusion? These storms are unlikely to grow more common but could well gain strength. 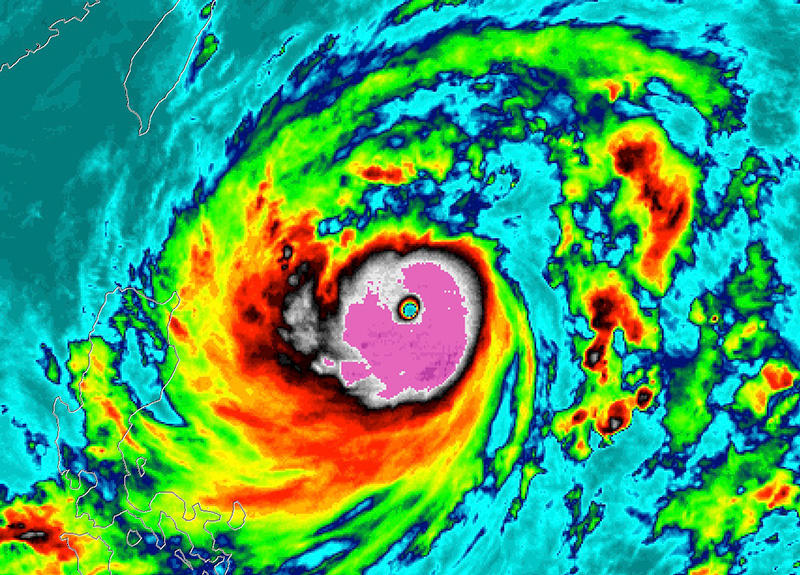 Color-enhanced infrared satellite image of Typhoon Usagi while it was moving toward Hong Kong in 2013 and explosively intensifying to a Category-5 storm. Usagi threatened Taiwan and the Philippines, and caused substantial flooding and more than 30 deaths in Guangdong province, China. A shift in tropical cyclones paths in the northern hemisphere is moving the locus of disaster northward. Despite the advent of satellite surveillance in the 1960s, hurricane scientists have struggled to pinpoint their strength and exact paths. To look at how hurricanes paths might be changing, Kossin sidestepped this problem by focusing on a much easier task — the point where the storm achieved maximum strength. The study found differing shifts in different regions — from an extreme around New Zealand (208 kilometers per decade) to a significant increase in East Asia (50 to 70 kilometers per decade in practically no increase at all (7 kilometers per decade) in the North Atlantic. It’s not clear why the North Atlantic was such an exception to the global rule. Graph shows the erratic but detectable northward movement of tropical cyclones in the northern hemisphere. 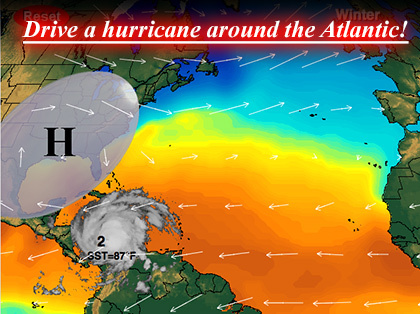 Red shows best tracks from the data; blue is based on data that was, like much hurricane data, reanalyzed. Straight, sloping lines show trends.